'Tempting' (Joseph Ghio, R. 1991). Seedling# 86-29D. TB, 36" (91 cm), Early midseason bloom. Standards pink, deeper at midrib; falls red purple, narrow pink edge; beards red. 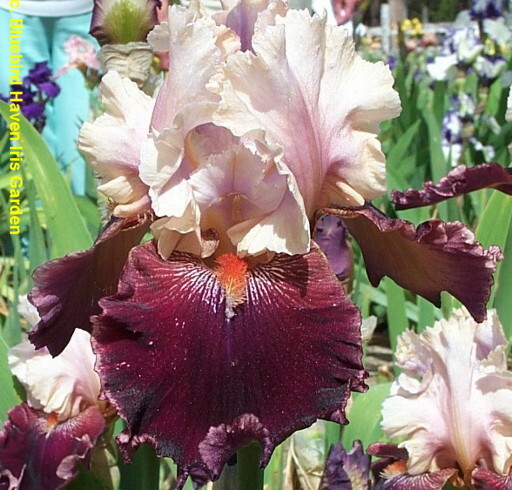 Seedling# 87-73K: ('Success Story' x ('Fancy Tales' 'Alpine Castle')) X ('Liaison' x 'Ecstatic Echo'). Bay View 1992.